Oued,(Wadi) a valley or ravine, bounded by relatively steep banks, which in the rainy season becomes a watercourse, a river. The Tensift is a river in central Morocco. It takes spring in the eastern High Atlas, north of the Tizi-n-Tichka pass. It passes close to the city of Marrakech and has its outlet into the Atlantic Ocean at the ancient fortress of Souira Qedima, around 40 km south from Safi. 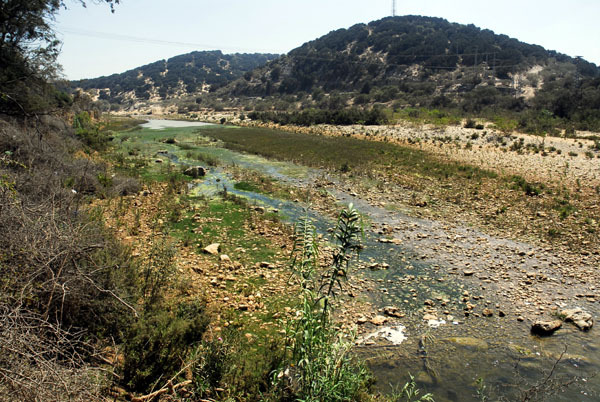 Its water discharge changes according to rainfall; it is one of the ten major rivers of Morocco, but frequently can be waded through even close to its outlet. 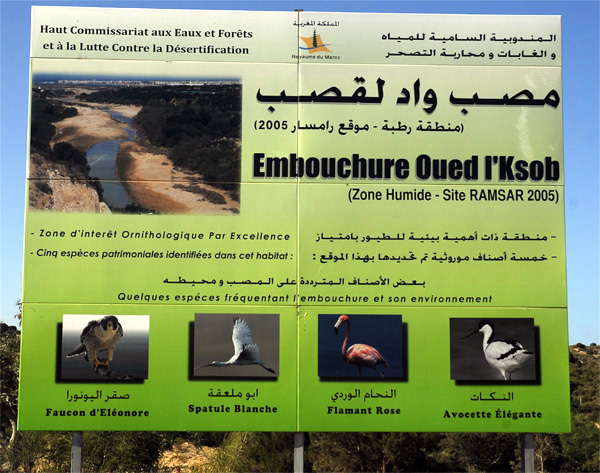 Oued Ksob is a river in western Morocco that discharges to the Atlantic Ocean on a broad beach slightly south of the city of Essaouira and slightly north of the village of Diabat. 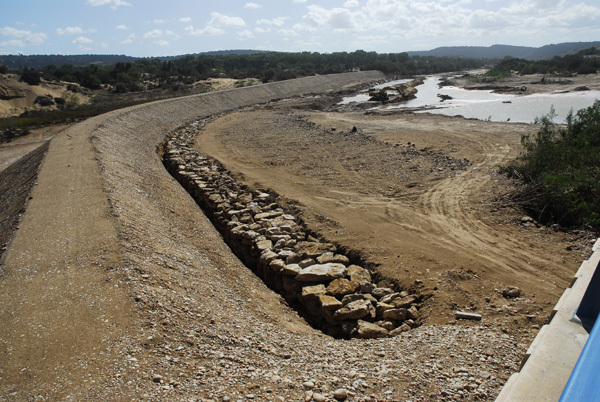 To protect the city of Essaouira from floods of the river Ksob, the Zerrar dam (BARRAGE Zerrar) is built, located about thirty kilometers from Essaouira. 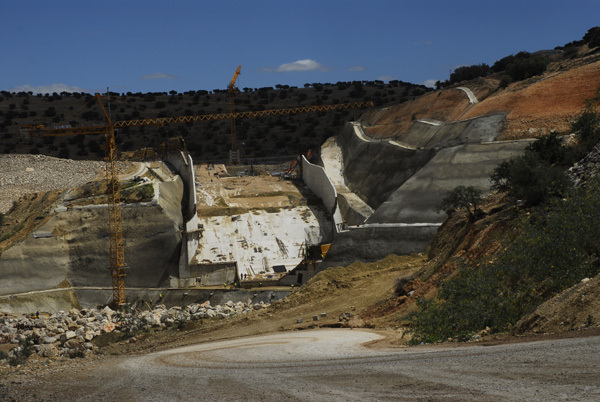 It will also improve the drinking water supply of the city and its region.